How Much Paracord Do I Need? Don't you hate it when you find a paracord tutorial that doesn't tell you how much cord you need? Me too. 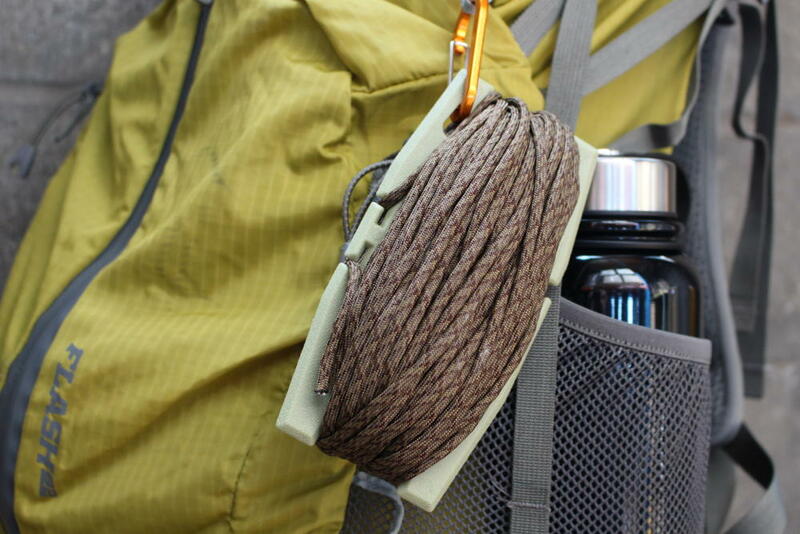 Here are a couple of basic tips to follow when planning out your paracord projects. How Much Paracord for Survival? If you are buying paracord for survival to stash in a hiking backpack or bug-out-bag, 250 ft. is a comfortable amount that will last you a long time. Get a paracord winder, spool, or even a dispenser to keep it from getting tangled. How Much Paracord for Bracelets? There's nothing worse than almost finishing a paracord bracelet and running out of cord. 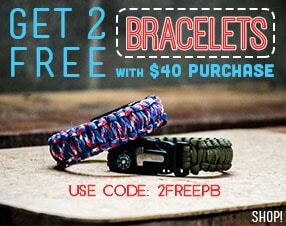 The general rule for the cobra weave, and many other weaves, is: "One inch of bracelet equals one foot of paracord." This is a generally accurate rule, unless you have very large wrists, you are making a wide bracelet, or you are using smaller diameter cord. Just remember that you usually need a foot and a half of paracord for the center strands too. This is one reason why we sell paracord in 10 ft. lengths, It's the perfect amount to ensure you have enough to complete most bracelets. Spiral quick-release = 8.5 ft.
Corkscrew/telephone cord = 8-10 ft.
King Cobra = 25 ft.
How Much Paracord for Belts? Belts take a ton of cord! They are wider, and much longer, than bracelets. Double Cobra Belt = 120 ft.
How Much Paracord for Handle Wraps? Handle Wraps are a little harder to estimate. The amount of paracord varies greatly, depending on the diameter and length of the handle, as well as the method used. West Country Whipping (1" handle diameter) = 40" of paracord per inch of handle. How Much Paracord for Other Paracord Creations? Sometimes there is no formula, especially for complex projects, and you just need to have extra paracord on hand. Look at these unique tutorials with an included cordage estimate. Water Bottle Net with Sling = 50 ft.
7 ft. leash with 4-strand round braid = 40 ft.
Turks Head Coaster = 10-15 ft.
Did you know that you can make a cobra bracelet without detaching the cord from your spool until after you're done? Set up your bracelet core with 4-5 ft. of slack at the end of your line for weaving. As long as your standing end (the part attached to the spool) is the cord that goes on top while weaving, you will never have to fit your spool through a knot! Save 3-5 ft. segments for practicing new knots. 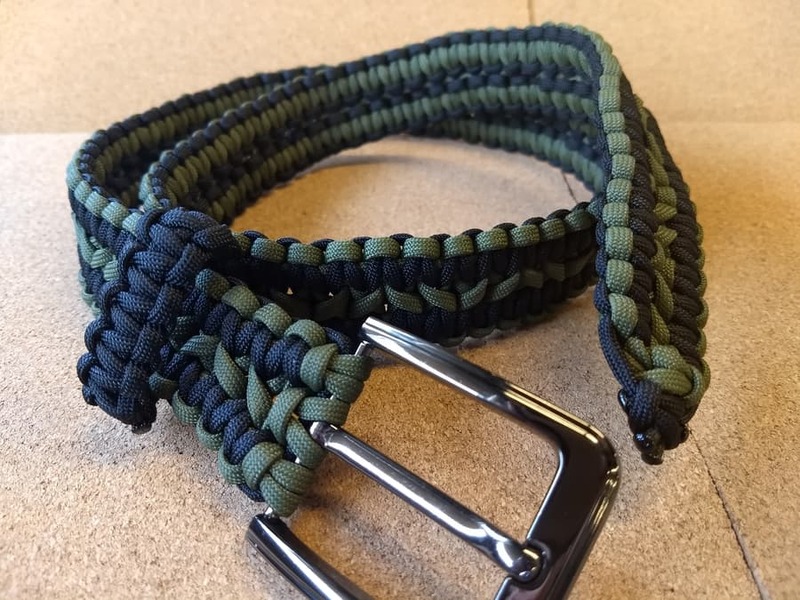 Make rings, keychains, or zipper pulls with your leftover paracord pieces. Use a scrap piece of paracord to weave 3 inches of a project. Then measure how much paracord you used and divide by 3 to get your "per-inch" amount for that weave. Even with basic guidelines, it can be hard to estimate the amount of paracord needed for various projects. Sometimes, the only answer is trial and error. The best tutorials include how much is needed, but not all do. 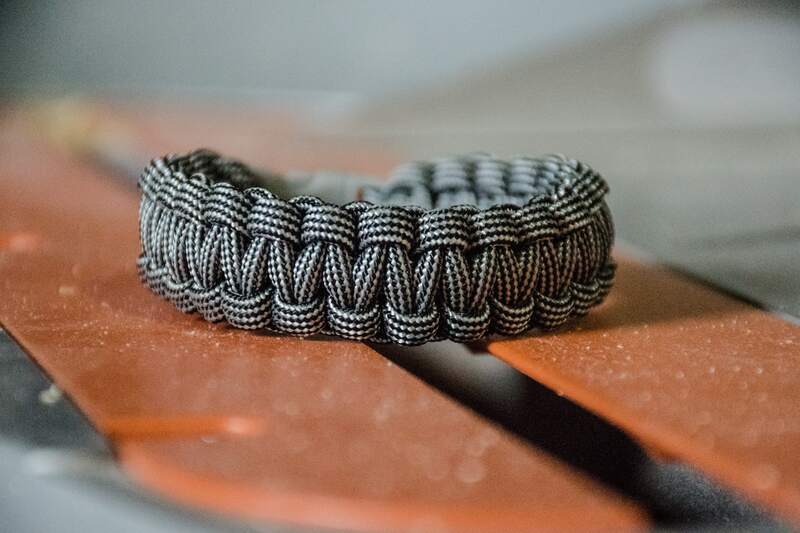 As we update our site with new tutorials, our goal is to make creating with paracord as easy and enjoyable as possible. 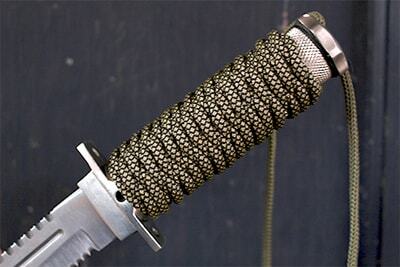 Want to know how much paracord a certain project uses that we didn't cover in this article? Ask away and we will do our best to answer. Share your stories of running out of paracord in the middle of a project down in the comment section. 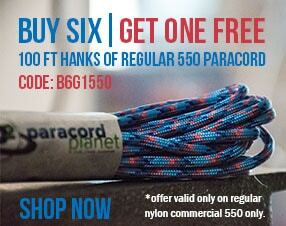 If you comment, you may just win a free hank of #750 paracord! Last week, Isabel won 100 ft. of #95 paracord.